It’s no surprise that Melbourne has been voted the most livable city in the world six years running. Even with its interesting weather described as four seasons in one day (quite literally it could be sunny in the morning, freezing in the afternoon, raining in the evening) it has managed to beat the likes of Vienna, Vancouver, Toronto, and, it’s rival city, Sydney. Sydney may have Australia’s most iconic structures, like the Harbour Bridge and the Opera House, but Melbourne is on a whole new level when it comes to culture, diversity, history…and simply put, a great vibe – it doesn’t feel as corporate as Sydney either. Perhaps this combination also makes it Australia’s best city for tourists! Tess Johnson – I’m a Melburnian, born and raised, in my final year of studying Communications at RMIT University. When I’m not on the hunt for Melbourne’s best brunch spot or sipping coffee in one of our many hidden laneways, I am working as a walking tour guide in the CBD. Daniel Blickling – Founder of Traveloris and a huge fan of Melbourne! I think it’s Australia’s number 1 city to visit. Although I have been several times and got a pretty good grip on things, Tess’s local knowledge is what really makes this article the perfect guide to Melbourne. OK, I get that this is a pretty long article…it’s because Melbourne has a huge amount to offer and we’re covering every angle to help you plan the perfect trip! However, this menu will help you move around the guide. Let’s get the boring yet important stuff out of the way first. From the airport to the city you only really have 2 reasonable options, neither of which is a train. The first is the SkyBus, its ‘Low Cost Fare’ is a AU$35 roundtrip per adult (ouch). However, you can take up to 4 kids at no extra charge. A taxi to the city centre would cost about AU$55-65. Both options would take about 35 minutes depending on traffic. Taxi’s usually competitively priced counterpart, Uber, has a funny relationship with Melbourne airport. The complete Uber black zone has only recently been lifted from the airport to allow UberBlack (only the most luxury cars allowed). Uber estimates a ride to Flinders Street would set you back approximately between AU$112-145. In every situation other than getting to and from the airport Uber is great option for getting around Melbourne. Note: I’ve never tried this but it was recommended by an Uber driver and a friend. If you’re coming from the airport set your pick-up location just outside the airport black zone and when they call you tell them you’re at the airport, apparently it’s a commonly used trick to avoid the extra charges… let us know how it goes in the below comments. There is a public transport option from the airport that’s a lot cheaper but it would also take about an hour longer, and it’s a pain as you need to change services a few times. 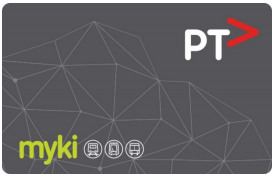 Once in Melbourne, the cheapest way to get around is with a Myki which costs AU$6 for the electronic card plus top up money for travel (you purchase the card and tap on/off public transport, easy). Myki’s can be purchased at train stations and several retail outlets including 7-Eleven and most mainstream petrol stations. An important and super cool thing to know is that there is a Free Tram Zone in Melbourne’s CBD and Docklands. You don’t need to use a Myki at all in this area (So don’t touch on or off!). So, if you don’t plan on leaving the CBD there’s no point in buying a Myki (though that would be a mighty shame, there’s a lot of great things to explore out of the city centre). Melbourne has the largest operating tram network in the world, so it is safe to say it is pretty extensive. The bus and train networks also do a good job at getting you from A to B, but if you want to check when the service is running download the PTV (Public Transport Victoria) or Tram Tracker Apps. Before I dive into the best areas for accommodation I’ll mention that Melbourne, more so than any other city in Australia is quite big on house sitting. So, if you’re flexible with your dates perhaps you can find some free accommodation via one of the multiple house sitting websites. Be aware it may require you to feed a goldfish or a dog as part of the deal. Brunswick: Great area with good food and café’s, also the cheapest option of the lot. For a luxury visit, I have heard that the Sofitel Hotel in Collins Pl is great. There is loads to do in Melbourne and no matter your age or interest, you will find something you like. Make sure to plan your trip using Traveloris for all the best attractions and to also discover if you could save money with the iVenture Card…especially if you’re planning to see a lot (for convenience I’ll mentioned which attractions are included in the iVenture Card). Day one has to include the I’m Free Walking Tour. I always look for free walking tours when I go to a city. This tour in particular will help you discover lots of cool alleys, side streets, hidden gems and fun facts you wouldn’t otherwise – it’s also the perfect way to get some orientation. The tour ends right next to the Eureka Skydeck 88 (iVenture), so it’s the perfect time to zip up to the 88th floor and get a panoramic view of Melbourne from above and see the sunset. Another thing I look out for when I visit a city for the first time are Hop-On Hop-Off bus tours. I know it’s very touristy, but getting some history while driving around a city’s main sights and being able to get off whenever you want is a pretty good deal. Check out the CitySightseeing Bus (iVenture) and the Visitor Shuttle. Like most great cities, Melbourne was built around a river and an alternative method to explore Melbourne is from the water. So, bear in mind that there are a bunch of great River Cruises you can choose from on Traveloris and they are a great way to kick off your trip, perhaps it’s something you can do before the free walking tour starts! National Gallery of Victoria (NGV) – The oldest gallery in Australia and an absolute must visit for all art lovers in Melbourne. There are two parts to the NGV; NGV International which is in the Art’s Precinct on St Kilda Road and The Ian Potter Centre: NGV Australia. NGV International – Is the bigger and most visited of the two. They always have a few exciting temporary exhibitions of work from the likes of Van Gough, Ai Wei Wei and David Hockney, just to name a few. Their permanent exhibitions also boast a number of famous pieces from all around the world. It’s a great outing for the whole family, as all exhibitions are made to be interactive and accessible for kids too. If the weather is bad you could easily spend the better part of the day there, they have a cafe and gift shop which is filled with quirky items to fit with the current exhibition themes. If the sun is shining outside, the NGV courtyard out the back is a nice space to hang out and catch a bit of afternoon sun. Friday Night’s at the NGV is the place to be as they often have live music performances by both Australian and international artists in their stunning Great Hall. Check their website for more info if this interests you! The Ian Potter Centre – NGV Australia is located in Federation Square and hosts Indigenous and non-Indigenous art from various time periods in Australia’s history. This is smaller than NGV International but showcases a lot of incredible work that shouldn’t be missed! Immigration Museum – It’s often said that Australia is the best example of the multicultural society in the world. Melbourne specifically is an exciting melting pot of a whole bunch of cultures. The Immigration Museum is a great way to learn more about how we came to have such multicultural history… it wasn’t always smooth sailing. It also happens to be my favourite museum to visit in the city. ArtVo – Although it sounds weird and a bit ‘commercial’, it’s actually very fun! This ‘non-typical’ art museum has over 100 3D artworks which you literally step inside and become a part of. It’s fun for the whole family and will result in some cool photos for you to put online and leave your friends scratching their heads when they see it. Antarctic Journey (iVenture) – Ever wondered what it would be like in Antarctica? This cool (literally) and interactive museum on Phillip Island is the best way to learn just that without actually visiting Antarctica. It’s definitely worth visiting in combo with the Penguin Parade. Old Melbourne Gaol (iVenture) – I made a snap decision to visit the Old Melbourne Gaol (still can’t pronounce it right) on my last trip to Melbourne and it was a highlight! The tours are great and getting an insight of the Australian justice system between 1845 – 1929 was absolutely fascinating. Churchill Island Heritage Farm (iVenture) – This one is out on Phillip island and a great option for kids, it’s a Victorian era working farm on a historic island. Visiting this place will take you back in time where you can witness activities like sheep shearing, working dogs, cow milking and whip cracking. 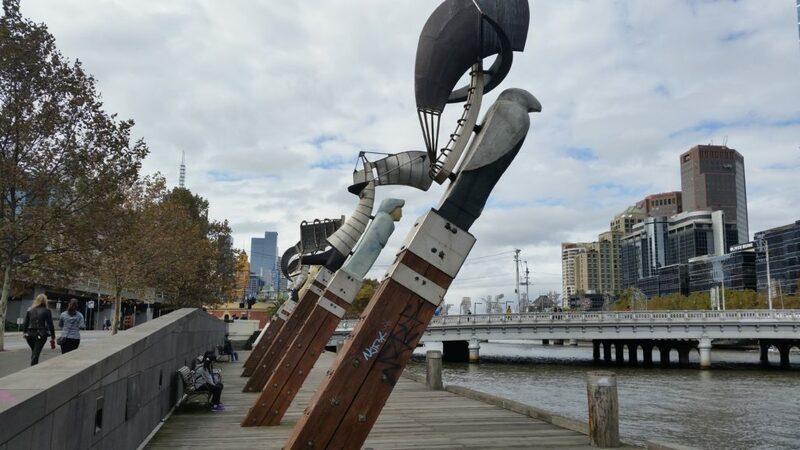 City Sights Kayak Tour (iVenture) – If you want to explore Melbourne from the water, but are hoping for more of an experience than just a cruise than this one’s for you! There’s a bunch of different packages on offer including a Yoga Kayak tour (the yoga is done beforehand on the shore, not on the kayak itself luckily), or even a moonlight kayak tour. Puffing Billy Railway (iVenture) – One of the nature areas you have to explore is the Dandenong ranges, it’s an absolute must! The Puffing Bill Railway is a fun way to do it, especially if you have kids. It doesn’t take you along roads so this isn’t something you can experience by car which makes it unique. It stops at a bunch of great places along the way that you can choose to get off at. If you are into your steam trains, than you’ll also love this as you go over a trestle bridge and through original stations. Scienceworks – If your unfortunate enough to experience Melbourne’s rainy side on your trip, which is likely, then the Scienceworks museum is a good attraction while you wait an hour or two for the weather to clear…which is also likely in Melbourne. Here you can discover all things science related from anatomy to the mysteries of the universe. The fun part is that it is extremely interactive. They also have a cool 16-meter dome planetarium! 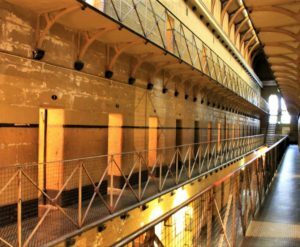 Pentridge Prison: 2-Hour Ghost Tour with Special Access – Sounds awesome, right? That’s what I thought! However, be warned this isn’t for the faint hearted! This adults-only tour will give you the chance to walk in the footsteps of Chopper Reed, discover outlaw Ned Kelly’s remains and experience the final moments of Ronald Ryan, the last man to be executed in Australia. It’s a unique experience led by a local guide. Melbourne Rooftop Bars – Make sure to spend some time exploring the Melbourne bars, I’ve mentioned the best ones below but this tour run by local guides is a great way to also meet new people. Before I dive into the mainstream museums of Melbourne, I am going to do something completely radical and talk about some of the hidden art in Melbourne. 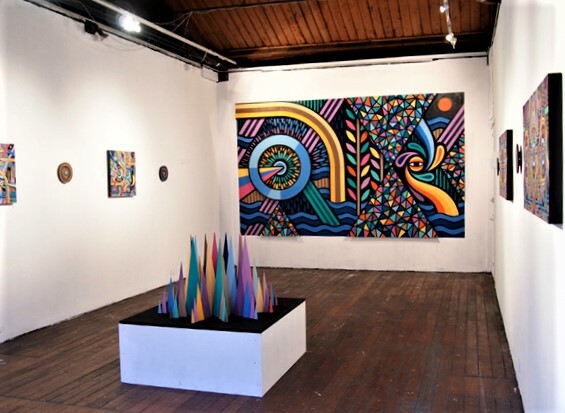 There are loads, and loads of cool art galleries to choose from in Melbourne, I recommend checking out the Traveloris Museums filter for Melbourne before your trip because they have pretty much listed all the best ones, but here are my favourites. Anna Pappas Gallery and the Backwoods Gallery are both top notch contemporary art galleries with great exhibitions year-round. Linden New Art is also a great contemporary art gallery, what makes it worth visiting is that it’s set in a large Victorian mansion with beautiful gardens. For photography, you can’t beat the Centre for Contemporary Photography, so make sure to check that one out too. Don’t forget to keep an eye out for Melbourne’s famous street art. Check out some of my favourite lanes like Hosier Lane, AC/DC Lane, Caledonian Lane, Croft Alley,…you can’t miss it! Australian Centre for Contemporary Art – The title does a pretty good job of explaining what you’ll find here…however, you could say that ACCA is leading the way when it comes to Contemporary Art in Australia so art lovers, include a visit! Heide Museum of Modern Art – A visit here is more of an experience, it definitely isn’t your typical contemporary/modern art gallery. There’s 15 acres (which is a decent amount) of beautiful gardens, three dedicated exhibition spaces, two historic kitchen gardens and a sculpture park which is particularly worth visiting. Melbourne Museum – Don’t know much about Australian history and culture? Or perhaps you are one of those people who believe Australia has less culture than yoghurt…well, here to prove you wrong is the Melbourne Museum. Not only Australia’s history but particularly (as the name gives away) Melbourne’s history. Completely lose yourself in stories of those who shaped Melbourne since the early 1800’s. Especially interesting and worth visiting is the section on Indigenous culture. Polly Woodside Maritime Museum – A great choice especially with kids as it’s not exactly a walkthrough museum. 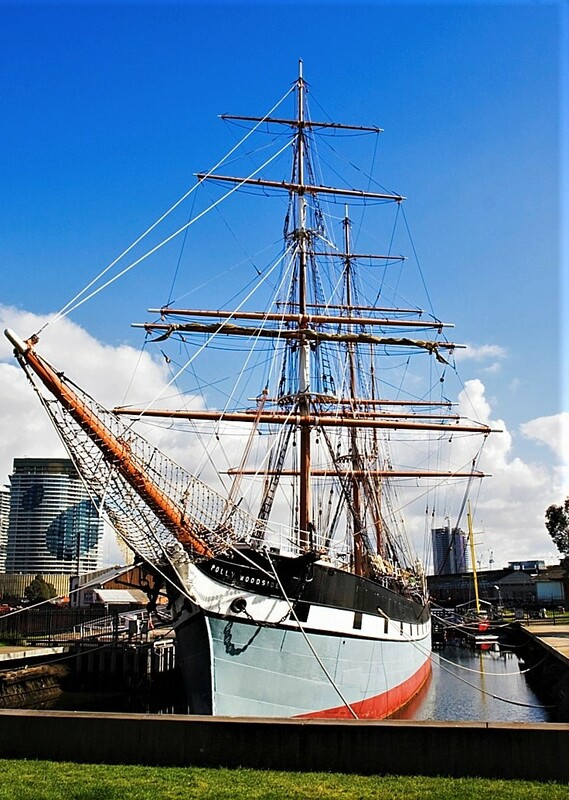 The highlight is going on-board the Polly Woodside, a three-mast cargo tall ship that was built in England in 1885. There’s a range of activities including a history gallery, wharf with picnic facilities and guided tours which are fascinating. A trip to Melbourne isn’t complete without visiting one of its famous markets. Again, loads to choose from and a great way to grab a meal, mingle with the locals, and check out some local arts and crafts. Everyone talks about Queen Victoria Market, and for a good reason; it’s huge and has everything you could imagine to find at a market, it should be right up there on your list of things to see. It also happens to be built on top of an old cemetery. However, my two favourite markets are Prahran Market for the food and South Melbourne Market for it’s awesome food, souvenir’s, entertainment and general vibe. 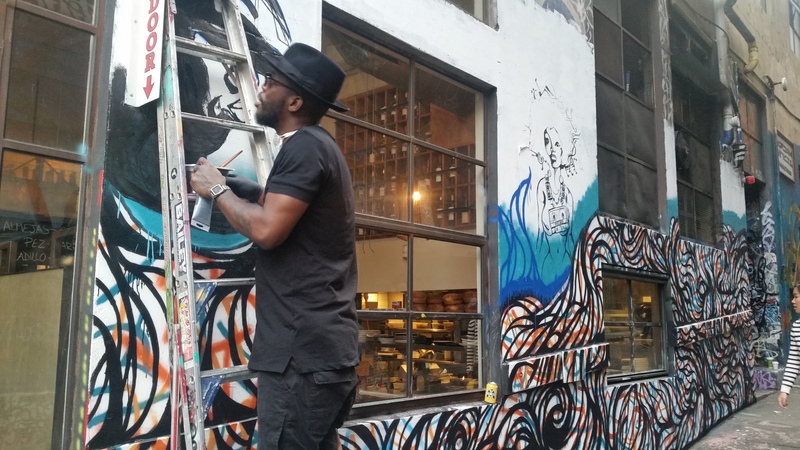 For a local art market, Rose Street Artists’ Market is the place for you, featuring Melbourne’s best talent for art and design. Which means, there is more than just art here! You’ll find of lot of handcrafted jewellery and locally made clothing that really reflect the arty and creative side of Melbourne creatives. The Rose Street Artists’s Market is, funnily enough, located on Rose Street in the heart of Fitzroy so you are surrounded by a bunch of cool street art and all the other treasures of the area. If flea markets are more your style, each weekend is the Camberwell Sunday Market which see’s a whole supermarket car park turned into a bustling market place of locals selling anything and everything, often at very good prices! Get up bright and early, because the market goes from 6:30am-12:30pm. Don’t worry, there is an abundance of great cafes surrounding the market where you can get your morning coffee. The best way to get to the market is to catch the train the Camberwell station and walk 300m to the market. Melbourne has incredible opportunities to discover and learn all about Australian wildlife. I usually don’t include aquariums and zoos/sanctuaries because I don’t like the idea of animals being kept in captivity. However, I did a load of research about Melbourne zoos as I wanted to go to Werribee Open Range Zoo. After researching the topic, I discovered that Melbourne zoos are all about animal conservation and wellbeing, and educating people on the importance of preserving wildlife. So, needless to say we added a section on this in our locals guide to Melbourne. Werribee Open Range Zoo – Here you can see animals from the grasslands of Australia, Africa and Asia live in conditions as close as possible to those of their natural habitats, they also do educational talks throughout the day which are a must. They have a fun safari that takes you past a lot of exotic animals including one of my favourites, the Giraffe. Several of the animals on the safari are considered extinct without conservation! Healesville Sanctuary – Is the best place to see Australian wildlife, other than in the bush of course. They have a lot of information about Australian animals and their natural habitats. They also have a birds of prey show each day. The tip is to arrive in the morning when the animals are at their most active. Make a day of it and explore the beautiful surrounding natural areas and wineries. Melbourne Zoo – Australia’s oldest zoo and conveniently located just out of the CBD in Parkville. Moonlit Sanctuary Conservation Park – An award winning, 10-hectare wildlife park home to endangered species. SEALife Aquarium – I was pleasantly surprised by the aquarium, especially by the regular and very informative talks from the experts. Usually tickets are around 40AUD but you can get them via Traveloris for less than 20AUD. Kids will love this place. Penguin Parade – You wouldn’t expect it, but Phillip Island which is just around the corner from Melbourne is home to the world’s smallest penguins. This is an opportunity to sit on the side of the beach and watch them waddle up the sand after a long day’s work. If you do decide to go, which you should, it’s worth tying in a few other activities at Phillip Island to make the drive from Melbourne really worthwhile, for example: Phillip Island Aboriginal Tour; learn about the Aboriginal culture in the area before visiting the Penguin Parade, or check out on the Antarctic Journey, Churchill Island Heritage Farm, and the Koala Conservation Centre beforehand. The Koala Conservation Centre on Phillip Island is a top and unique choice as you can walk along a treetop boardwalk that lets you get face to face with Koalas. If you don’t have time to go to Phillip Island to see the penguins, another option is to go to the end of St Kilda Pier. 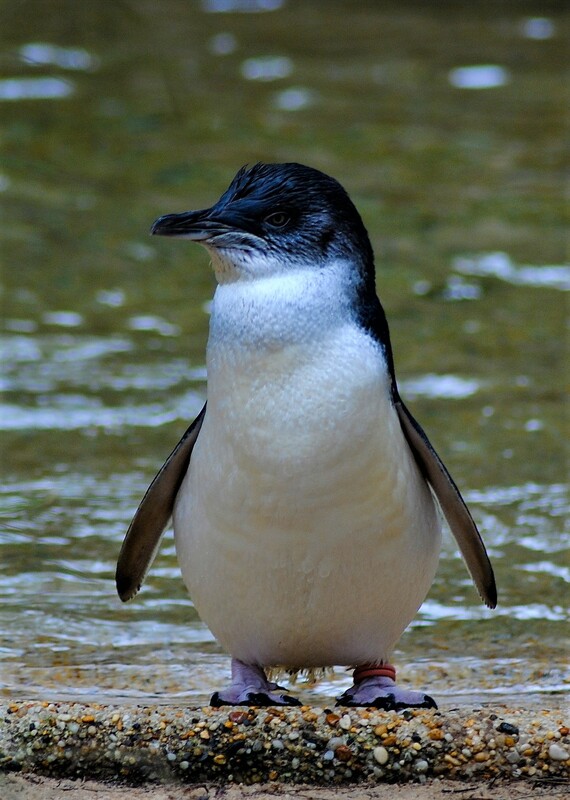 There is a small colony of protected Fairy penguins that have nested between rocks at the end of the pier. They are active at dusk and tend to come back to the rocks when it is completely dark. You might want to bring a warm jacket, but make sure you save your flash photography for another time…. we don’t want to scare the little guys away! Note: The chances are you will come across a lot of wildlife while you are in Melbourne, take photos but don’t touch them or try to make them your pet (this is Australia, you’ll probably get eaten if you touch them…just kidding). 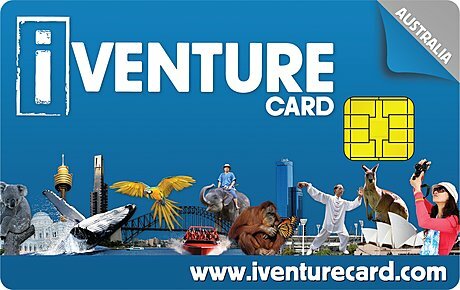 Many of the options above are included in the iVenture Card! The Royal Botanic Gardens in Melbourne is really easy to get to and offers some really nice paths, picnic spots, a lake with several islands, the Shrine of Remembrance (worth stepping inside and discovering) and the Government House. You can easily spend a few hours here to escape the buzz of the city. It’s hard to believe these gardens are in the very heart of Melbourne! Fitzroy Gardens is a must, not just because the park itself is really pretty (and conveniently located), but also because it is home to a Tudor Village and Cooks’ Cottage (iVenture). Cook’s Cottage was originally constructed in 1755 in Yorkshire, England. However, in 1934 it was brought over to Australia, brick by brick, and reconstructed in its new location! Located on the northern tip of the CBD, the Carlton Gardens are a lovely place to visit, whether it’s on your way over to the Melbourne Museum, to get your photo taken in from of the Royal Exhibition Building (Definitely a top location for wedding photos in Melbourne) or just for people watching. Albert Park is popular place (especially among locals) for a bunch of activities including jogging, cycling, dog walking and sailing and rowing around Albert Park Lake. It’s also a great spot to get a view of the CBD Skyline! Docklands Park isn’t your traditional park, it’s more of a park with a modern twist. It is a landscaped garden that is decorated with interesting modern sculptures surrounding a wetlands! Also a great place for bbq’s and picnics. Thinking of a day trip? It has to be pretty spectacular to be worthy of getting you out of Melbourne for a day. Luckily, Melbourne has a bunch of beautiful locations right on it’s doorstep. Yarra Valley – Melbourne is famous for its wine regions and right at the top of that list is Yarra Valley. Spend a day in the area exploring its wineries and tasting some top-quality wine while you’re at it! And, importantly, check out the scenery while you are there, the Valley is spectacular. 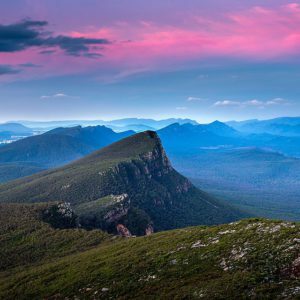 Grampians National Park – Nothing short of stunning, and it has to be to deserve a spot here as it’s quite a distance away. There is an incredible lookout at the top of Mount Rosea, that should be your destination. You can easily spend more than a day here, turn it into a trip of its own! Great Ocean Road and 12 Apostles – You ideally need a full day for this and a car of your own. If you don’t have your own car there are plenty of tours to choose from. The Great Ocean Road starts about 1 hour South West from Melbourne, and then it’s another 3-hour drive along the coast before you get to the spectacular 12 Apostles (of which there are 8 remaining). There’s a bunch of amazing nature to explore on the way, including the Great Otway National Park, and Teddy’s Lookout. If you have the chance to extend your trip along the Great Ocean Road, the coastal beach towns of Anglesea, Lorne and Apollo Bay are good spots to look for accommodation. For the ultimate in hiking and simply getting in touch with nature, visit the Dandenong Ranges National Park. It is stunning nature right at the doorstep on Melbourne. It offers hiking for all levels of experience and fitness, from the tough Kokoda Memorial Walk (1000 Steps), to the easier Sherbrooke Falls Trail – home to the worlds tallest Mountain Ash trees. The Dandenong Ranges is also home to the Puffing Billy Railway, which offers a unique way to experience this lush landscape. Steavenson Falls is considered the tallest waterfall near Melbourne, at 84m tall. You can drive your car very close to the base and walk the wheelchair accessible/pram friendly track to it’s base. It’s definitely worth taking the short track up to the top of the waterfall where you can get incredible views over stunning Marysville and down to the bottom of the falls. There are a lot of other great walking tracks around this area and the Marysville Information Centre has a comprehensive list of all of these tracks for people of all walking abilities. 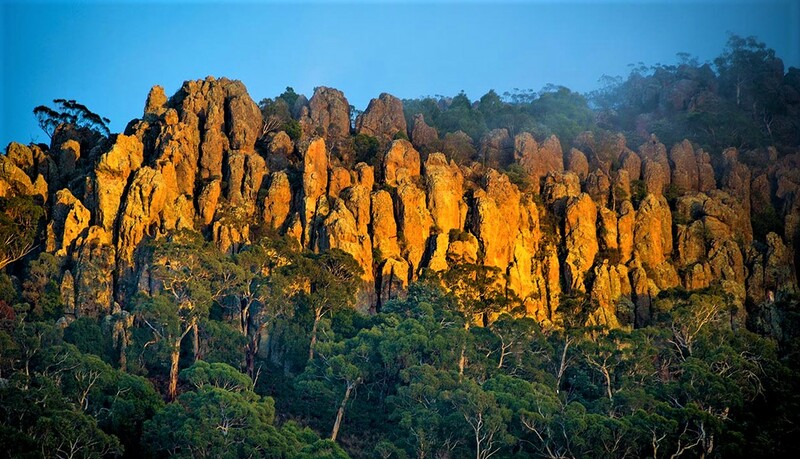 The last top pick for our Locals Guide to Melbourne takes you about an hour out of Melbourne to the infamous Hanging Rock Reserve. Have you ever heard of a classic Australian Novel called Picnic at Hanging Rock (there is also a movie and TV series by the same name)? It’s a novel from 1967 where students mysteriously disappear while exploring Hanging Rock on a school excursion. There are a number of trails which wind through huge boulders to the top of the rock formation. The reserve is absolutely safe for all visitors and I would definitely recommend it as a place to take your picnic! Carry it with you to the top and take your pick of rocks to dine on, view included! On my last visit, I saw two Koala’s and a bunch of Kangaroo’s which is even exciting for an Australian. Be sure to let your friends and family know that you went for a picnic at Hanging Rock and survived to tell the tale ;). While Melbourne’s skyline isn’t something it is renowned for it’s still impressive and worth checking out. The Eureka Tower is the tallest building in Melbourne, and hence the Eureka Skydeck 88 (iVenture) is the best vantage point you can get of the skyline. It isn’t free, but you can save about 10% by booking via Traveloris. There is an option to pay extra to go on The Edge, which is basically just a box that hangs out over the side of the building with a glass bottom and sound effects. I wouldn’t really recommend it, in terms of cost, waiting time and the overall experience. The Atrium Bar on 35 can be found on the 35th floor of the Sofitel. The bar itself doesn’t have views of the city, however their bathrooms do. They have floor to ceiling windows that look out over the city skyline. You will, of course, be expected to buy a drink in the bar but then you are welcome to use the bathrooms as many times as you like….for free! The alternative is the LUI Bar on the 55th floor of the Rialto Tower. Although their toilets don’t offer a great view their bar certainly does. The Shrine of Remembrance is a great place to check out the city skyline. It’s also the best place to see the William Barak Building, which is an apartment block at the northern end of the city with a man, William Barak’s face on it. William Barak was an Aboriginal Elder and also an activist, artist and diplomat who was very active in the community. Now his face is a permanent feature of the city-scape! You can get a pretty spectacular view from St Kilda also. Don’t forget Albert Park, which is mentioned earlier in this post, it also has great views of the city skyline. Note: The Melbourne Star Observation Wheel is a disappointment and complete flop, save your money and go to the Eureka Skydeck 88. It’s almost a crime that the food and drink section of this Locals Guide to Melbourne has come so far down, because the foodie culture in Melbourne is pretty huge. In fact, you could even dedicate your whole trip itinerary to eating your way around Melbourne…. So, cue the beginning of the comprehensive food guide. Melburnian’s sure love their coffee and smashed avocado, and the best thing that has come out of this cafe craze is the abundance of great places to eat and drink coffee around the city. This list scratches the surface of all the excellent places the city has to offer and is a rather comprehensive starting point to becoming a true Melbourne cafe aficionado. Smith and Deli – It’s not exactly cafe, but if the line out the door of this Fitzroy deli tells you anything, it’s that you should absolutely not miss out. Smith and Deli is a New York style, you guessed it – Deli – with a point of difference. It’s all completely vegan. The main attraction are their sandwiches, to which they have an entire menu dedicated to. I am slowly but surely working my way through their menu and I can tell you ,’The Wiggum’, my personal fave, will absolutely not disappoint. On top of this, they have house made cakes, take away dinners and salads, as well as other bits and pieces you would traditionally pick up at a deli. There is a small park just down the road filled with happy customers (lot of locals) enjoying their goodies. Grub Food Van – Complete with a 1965 Airstream van in the front courtyard, Grub is also a greenhouse that happens to serve some pretty top notch coffee. The cafe has a simple menu that uses some ingredients grown in their greenhouse, and also opens in the evening for dinner and drinks. The decorations around the property are super quirky, which is very fitting for the artsy area of Fitzroy where it is located. Matcha Mylkbar – Fancy a mushroom latte, anyone? Perhaps a bright green burger bun? A vegan egg, maybe? This St Kilda cafe has been making waves in the Melbourne cafe scene since it opened, mostly due to their unusual menu selections. Do yourself a favour and try one of Melbourne’s most unique and delicious brunch destinations. Seratonin Eatery – If you’ve ever wanted to eat your breakfast or lunch while rocking on a swing, Serotonin has you covered. They have a huge, healthy and colourful menu with a focus on boosting your serotonin levels. You’re guaranteed to leave this place with a smile on your face. In fact, even their lattes are served with a latte art smile. Grain Store – Turned out to be out of this world! The coffee was great and the pastries sensational. I had a pan au chocolat – demolished it – and went straight back to try a caramel slice which was super tasty. 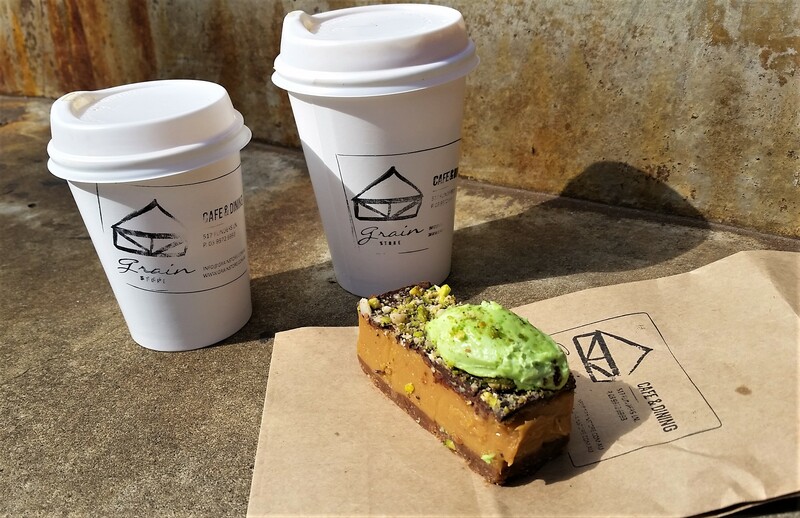 Seven Seeds Specialty Coffee – The name pretty much says it all. Seven Seeds is known for having one of the best coffees in Melbourne, which is quite a statement given how many great options there are! 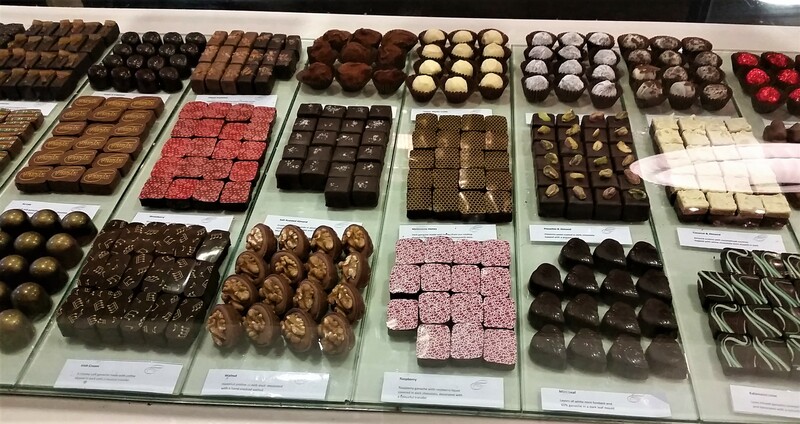 Ganache Chocolate – I didn’t go for the coffee, I went for the hot chocolate and it was probably one of, if not the best hot chocolate I have had. Centre’s Pl is a small alley packed with Café’s and they are pretty much all really good. However, my favourite and a must in this area is Vicolino, I go there every time I visit Melbourne, the coffee is really good even if it isn’t exactly the cheapest. Almost forgot…Bowery to Williamsburg NYC – This isn’t a mistake, it may say NYC but it is in-fact in Melbourne. It’s trendy, unique, comfortable and most importantly offers amazing food and coffee. I recommended it recently to a friend who ended up going three times, in three days! Areas known for good restaurants include Lygon St for Italian, St Kilda & Collingwood for Bohemian food, Abbotsford for Vietnamese, South Yarra & South Bank for modern cuisine, and of course Chinatown for Chinesse. Supernormal – Asian fusion dining in the centre of the CBD. Their menu is designed to be shared, which means you can try even more ;). Cumulus Inc – All-round great modern cuisine located on Flinders Ln. Their restaurant is open all day and they also have a bar and cafe. Smith and Daughters – The sister restaurant to Smith and Deli, this place will challenge any preconceptions you have about vegan food. Smith and Daughters has a rock ‘n’ roll vibe with Spanish food that is made with a whole lotta love and talent. This is definitely my favourite restaurant in Melbourne, you’d be crazy not to go! Ichi Ni Nana – Check them out for a truly awesome Japanese dining experience. Veggie Bar – One of the most popular spots on Brunswick street, and for good reason. Eat your dinner here and afterwards pop over next door for dessert at their dessert bar Boys and Girls. China town – This is a whole area in Melbourne’s CBD that has an abundance of great places serving Chinese cuisine and Shanghai style dumplings, which is the most popular item on the menus. For the best dumplings, go to Shandong Mama. They are made fresh each day and are hands down the best dumplings you’ll find in town. Empress of China is my next pick; everything is very affordable, and most importantly, delicious. 400 Gradi and Lygon Street – It has been awarded the prize for ‘Best Margarita Pizza in the World’, so they must be doing something right. 400 Gradi is located in the Italian Precinct of Melbourne on Lygon Street. You can find great Italian food all along Lygon Street, simply stroll down the footpath, absorb the Italian atmosphere and take your pick at some pizza or freshly made pasta, they’re all great there. Attica – It belongs to the top 50 restaurants in the world….I can only imagine how good it is. Be prepared to open your wallet if you are planning to fine dine here though. Upstairs, downstairs, behind a secret door and in alley ways…. You’ll find a bar in pretty much any kind of location around Melbourne. There are endless options to choose from, but I’ve narrowed down a list of my favourites to help you get started. Rooftop Bar – On the 7th floor of Curtain House in the CBD; you’re really in the heart of the city here. They also have a rooftop cinema during Melbourne’s summer months! Naked in the Sky – This place is on the rooftop of popular bar Naked In the Sky. From here you’ll see excellent views of the city skyline and out to the hills in the east. This is where I bring overseas guests and also meet with my friends. Their restaurant does AU$10 lunch specials on week days too! So it’s a good choice in the day and evening. The Croft Institute – You have to know it’s there to find it. Head to the very end of Croft Alley, passing loads of impressive street art in the process, and you will find a door right at the end. It’s a fun bar that serves all their cocktails with syringes, it’s cool to just relax there with some friends and drinks. The bar has a mental institute theme… which is a bit of a strange concept. You might find the bathrooms a bit bizarre! The Imperial Hotel – The Imperial has been around since 1852, but they’ve recently brought it into the 21st century by opening a bar on their roof! Right opposite the Victorian Parliament, this place is pretty impressive to visit with the parliament building lit up at night. Pizza Pizza Pizza – You need to know that this is a bar because from the front it looks like a tiny pizza shop. Ask for the bar and they will take you through a back door into a completely different scene. It’s a really nice sit down bar with good cocktails and a great atmosphere. It’s really chill. Goldilocks Bar – This bar takes you up an elevator, past a restaurant, up a flight of stairs and onto a rooftop bar that doesn’t just serve drinks, but also some really tasty dumplings! What’s not to love? Gin Palace – Gin lovers rejoice, here you’ll find a funky basement to enjoy your favourite drinks. The signage out the front is pretty minimal, so it makes you feel like you’re in on one of Melbourne’s best secrets. IceBar Melbourne (iVenture) – If you’ve never been to an IceBar and you have purchased an iVenture Card then it’s worth spending an hour or so here to start your evening and have your first drink, even to just check out the cool themed ice sculptures. However, this isn’t a true reflection on Melbourne’s bar scene so make sure to visit a few of the above bars….it’s a must! Bourke Street Mall is the heart of retail shopping in the centre of the city. You’ll likely find all you’re favourite mainstream shops here, however if you are in need of more retail shopping, walk through to Emporium Melbourne and Melbourne Central. These three shopping hubs have been connected so you’re able to walk right through from one to the other. Block Arcade is a worth a trip simply for the building itself rather than the shops there. The beautiful gallery was build in 1892 as a place for wealthy people to parade their outfits and socialise. The Mosaic floor will likely leave you impressed. The cafes in connecting Block Place are also very quaint with a european feel. Royal Arcade just across the road is also worth wandering through! For the bargain hunters out there, you can’t go past DFO Essenden or DFO South Wharf. They have all the big brands with massive discounts, if you want to renew your wardrobe than go to Melbourne with an empty suitcase and fill it up at DFO. A lot of the markets are also great destinations for shopping, especially souvenirs so don’t forget to check those out. If you need to destress, there’s only one place for you, the Peninsula Hot Springs. 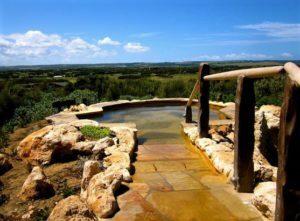 Home to over 20 globally-inspired bathing experiences, a cave pool, massages and treatments and a great restaurant! It’s 1.5 hours out of the city, so you might even like to book a night in one of the beach towns along the Mornington Peninsula. Check out their early bird special if you want the best deal! Or, if connecting with nature helps you relax, consider one of the many outdoor areas mentioned above, or why not try the Yoga and Kayak Tour! Anywhere in the city centre is worth exploring, there are loads of alleys and side streets with hidden away cafes and street art. The I’m Free Walking Tour mentioned earlier is a great way to discover some of them and get your orientation. Fitzroy and Collingwood – These areas are packed with street art, cafes, restaurants, bars and funky clothing boutiques. Both Brunswick Street in Fitzroy and Smith Street in Collingwood (the two streets run parallel with each other and are only a short walk away) are great places to explore day and night. You’ll find foodie heaven along both streets and the areas are certainly my pick for a great night out in Melbourne. During the day time St Kilda is Melbourne’s beach side playground, you’ll find great cafes, restaurants, community gardens and sometimes you’ll even spot penguins there if you’re around at dusk! If you have some spare time, Brunswick is worth a visit. It’s very edgy and hipster and is home to some amazing cafés which you will find dotted around the area, perhaps breakfast in Brunswick is in order? Chapel Street – Another area worth checking out. During the day you’ll find lots of shopping and places to eat. At night and you will certainly find a place to party until the early morning, or maybe even into the next day if that’s you’re style! world best players compete. The stadiums are top notch, but the great thing is you don’t have to buy tickets to enjoy the event, screens are set up in the city so you can easily be a part of the atmosphere that comes with this event. Midsumma – Victoria’s premier queer arts and cultural Festival, for and by LGBTQIA+ communities. For three weeks, starting in the middle of January. During this time the LGBTQIA+ communities run a program of over 130 visual arts, performance, ﬁlm, parties, sports, talks and social events. Chinese New Year – During the end of January/start of February festivals, performances and food take over the streets to celebrate Chinese New Year. During this time you can experience Chinese Lion Dance, Firecrackers, Traditional Folk Music, Dancers, Martial Artists and much more. Fashion Festival – Running for almost 3 weeks at the start of March. You’ll discover world-class runway shows featuring Australia’s established and emerging designers, state-of-the-art production, beauty workshops, retail events, industry seminars, forums, live entertainment and much more. 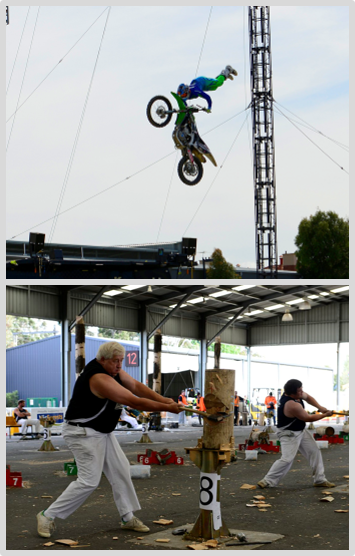 Moomba – One of Melbourne’s longest running events…Melbourne isn’t Melbourne without Moomba. It is celebrated during the Labour Day long weekend and is great for the whole family (especially kids). There’s a parade with floats, animal petting, loads of shows etc. It’s simply a great festival you shouldn’t miss if you’re there. Queer Film Festival – Runs for almost 2 weeks in the middle of March. Australia’s largest and longest-running queer film festival, MQFF presents more than 100 films from across the world, showcasing the best in LGBTI features, shorts and documentaries. Formula 1 – Perhaps the pinnacle of motorsports, F1 makes an appearance in Melbourne during March. Melbourne International Comedy Festival – For almost a month starting at the end of March (mostly runs in April), humour takes over Melbourne. Comedians (often very famous) pop up all across town to bring in the chuckles. Melbourne International Jazz Festival – Some of the best Jazz in the world makes its way to Melbourne, so keep your eyes out for this event! Run Melbourne – Run the city and take in all of Melbourne’s iconic landmarks, join the 5k, 10k, or 21.1k (half marathon) run. Melbourne Open House – The Melbourne Open House is put on to allow locals and visitors to explore and discover more about the unique historical buildings around the city. Melbourne International Film Festival – Oldest and largest film festival in Australia. Discover stories of the world through curated and unforgettable screen experiences. Melbourne Writers Festival – For a bit over a week, this festival will challenge, entertain, teach and inspire you through a buzzing program of storytelling, conversation and discussion, intellectual debate, educational programs, live performance, music and art events. Royal Melbourne Show – Everything from entertainment, arts and craft, rides, animals and shows come together at the Royal Melbourne Show. AFL Grand Final – A sport invented in Australia, and if you have an interst in it this is the ultimate match to watch! Melbourne Festival – One of Australia’s leading international arts festivals presenting unique international and Australian events in the fields of dance, theatre, music, visual arts, multimedia, free and outdoor events. Melbourne Cup – The nation stops for the Melbourne Cup. This (I think) is Australia’s largest horse racing event. Christmas Festival – This event transforms the city into a magical place and celebrates the spirit of Christmas in true Melbourne style. Cricket: Boxing Day Test – Even if you’re not a cricket fan, this is a fun experience. Australia’s biggest stadium is home to this annual event where Australia takes on another nation that happens to be touring Australia at the time, it’s a great atmosphere. The iVenture Card is a great way to save money if you’re looking to pack a lot into your trip. They have a variety of pass’s to choose from. Remember that at Traveloris we do loads of research to not only find you the best attractions, but also at the best prices. For example, the SEALife Aquarium is usually $AU41 for an adult, but through one of our many partners we can offer it to you for $AU18! 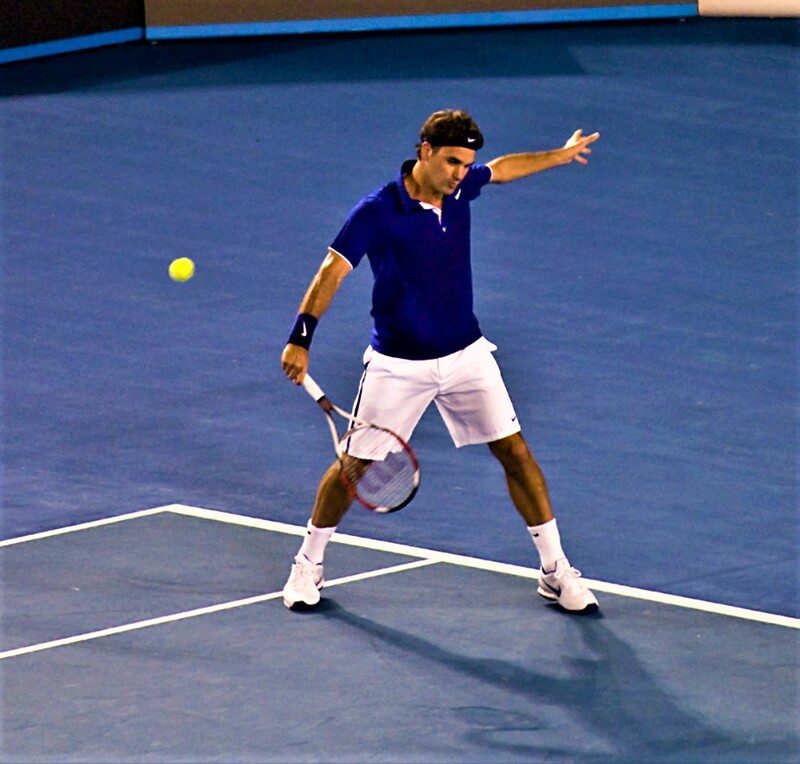 We have created itineraries for 2-3 action packed day in Melbourne.